During the current academic year we’re working with 26 Local Authority Areas to deliver the Schools Linking Programme. 785 classes will be linking and 22,500 pupils will be meeting with other pupils they might otherwise not have met. We’re always amazed by the commitment shown by the staff who lead the Schools Linking programmes and the time they spend planning for the year’s activities. 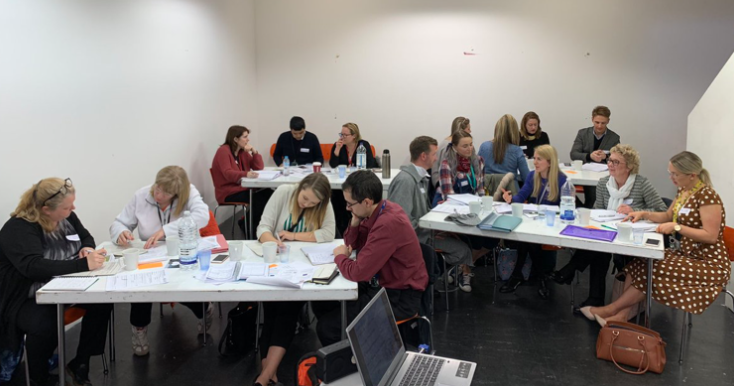 Teachers spend time with their linking school agreeing which neutral venue they’ll visit together and what activities they’ll do when they visit each other’s schools. We know from staff who’ve had experience of running their Schools Linking programme that what happens in the classroom to prepare students can have a big impact on what pupils get out of the the Schools Linking programme and the difference it can make to them. The Linking Network team work hard to create innovative and fun activities for teachers to use in the classroom to prepare pupils to meet new people and for new experiences. There are plenty more resources on our website. Some resources require a log in and password, which teachers who are already part of the Schools Linking programme already have. If you’d like to know more about joining the programme in one of the 26 Local Authority Areas we’re already working with then go to the National Network area of our website where you’ll find contact details and you can get in touch with your local facilitator.